Drew Stanton has inherited the title of Viscount Ravencroft – and not much else. He needs money to tide him over and a roof over his head for Christmas. He answers an advertisement and finds himself masquerading as Miss Ellie Jordan’s fiancé. 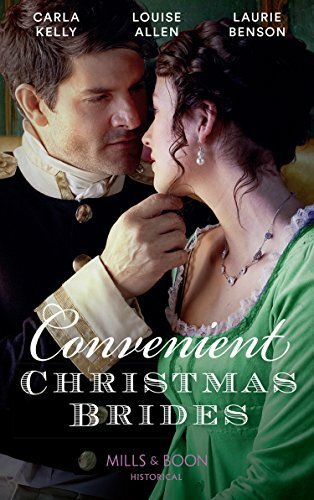 Christmas with a respectable household wasn’t quite what he’d been expecting when he answered the advertisement – and the attraction between himself and Ellie is definitely perilous for a man in need of an aristocratic wife and a lady who is very wary of fortune hunters. 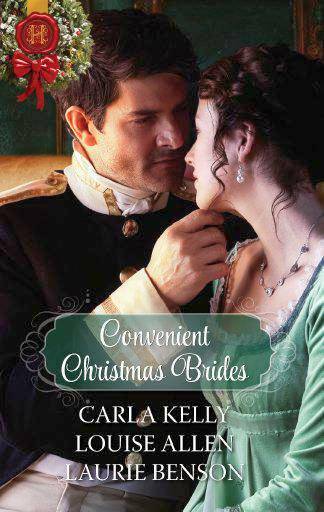 The truth of his identity puts their growing love in peril – can the magic of Christmas heal the rift? ‘ “A Lady requires the Services of a GENTLEMAN of the Utmost Discretion over the Christmas period. Full board and lodging for the Festive Season and Remuneration Fully Commensurate with the DELICACY of the Task and the Degree of SENSITIVITY required. Apply in person to Templeton, Ague and Ague, Old Mitre Court, Middle Temple, between the hours of ten and four.” Delicacy, sensitivity and discretion, indeed. I wonder what the lady in question requires and what payment is fully commensurate with that.’ Payment. He could do discretion. Sensitivity at a pinch. He wasn’t too sure about delicacy. ‘I do not like to say I told you so, Miss Jordan, but every man – I will not say gentleman – who has passed through these doors in the past two days has come with the basest of motives.’ Mr Ague, junior – Mr Templeton had long been gathered to his rest and Mr Ague senior (eighty six and irascible with gout) had refused to have anything to do with the matter – drew a line through the latest applicant. He pulled his spectacles off his nose and tossed them onto the desk with the air of a man throwing in his hand. ‘Give us two minutes and show him in. The name has novelty, at least. Not one of the Smith or Jones clans.’ Mr Ague gave a high-pitched titter as Ellie moved back to her chair in the shadowed corner. Her spirits were sinking along with the light-levels. Outside it was barely two o’clock, but a smoggy winter gloom was descending over the narrow courts of the Middle Temple and all the light in the room was concentrated around the desk, the better to conceal her in the shadows. The only bright spot was the incongruous sprig of holly sitting in an empty inkwell on the desk, its berries glowing. And even that reminded her how close Christmas was and how desperate she was becoming. Well. Goodness. Ellie blinked as the tall figure moved into the pool of lamplight around the desk. He seemed to bring cold air with him, a swirl of fog. And, paradoxically, heat. Or perhaps intensity. Masculinity, certainly.